organises communities to act together for power, social justice and the common good; develops leadership capacity of its members so people can hold politicians and other decision-makers to account on the refugee crisis. 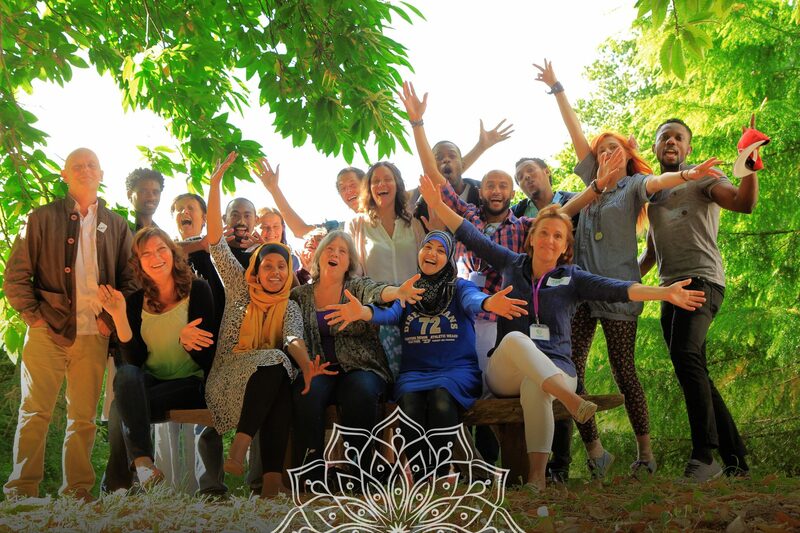 Based in Totnes, Devon Integr8 UK is a non-profit community development project that empowers refugees and asylum seekers and helps them integrate into their host communities and start a positive life and work experience. through collaboration, discussion and practical action lobbies, raises awareness of the challenges facing refugees and asylum seekers and engages with refugees and asylum seekers, both in the UK and overseas, to offer friendship and support. Welcomes refugees in the area by offering support in various ways including fundraising, support for existing projects, connecting with other groups and sharing information. Provides advice, support, education, IT facilities and a friendly communal space for asylum seekers in the region. The Red Cross run a welcome project in Plymouth, introducing asylum seekers to the area, putting them in touch with local services. They can sometimes provide financial support for destitute asylum seekers and refugees. The Red Cross also provides a tracing and messaging service for families separated by conflict or disaster. In addition to initial assessment the team provides intervention to improve mental well being and prevent deterioration, and assists clients in accessing other mental health specialists such as psychiatrists and psychotherapists. 95% of the work of the team is performed by interpreters, either via phone or face to face, depending on clients’ choice. PDREC also runs gender-specicif peer support groups to help BAME people (including refugees and asylum seekers) navigate mental health challenges . DCFA ensures that usable, in-date food does not go to landfill but is distributed to those most in need (via issue to charitable organisations), thus reducing carbon dioxide emissions and ensuring that those in need within communities can access healthy food and improve their lifestyles. A community-lead initiative that organised regular social events at Calstock. You can visit their pager here. These Legal Aid solicitors based in Nottingham assist Red Cross clients with urgent housing, wellbeing and immigration matters. The firm have a dedicated department experienced in conducting court proceedings in the High Court, Court of Appeal and Supreme Court. http://ohob.org.uk/ – collects donations and send a 40ft Aid Container to Syria every three months, and provide items to other camps across Europe including Greece, Calais, Dunkirk, and Paris. Welcomes donations of good quality baby and children’s equipment, toys, books, clothing for all ages of children, cots / single beds, bed linen and towels.